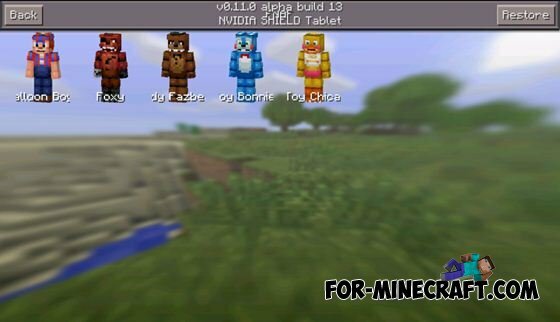 More Skin Packs mod adds many new skins in Minecraft Pocket Edition 0.11.0. 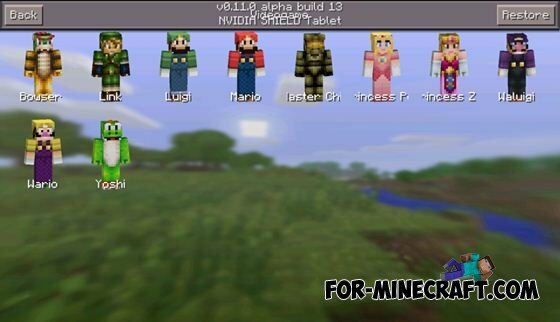 Now we have even more options. 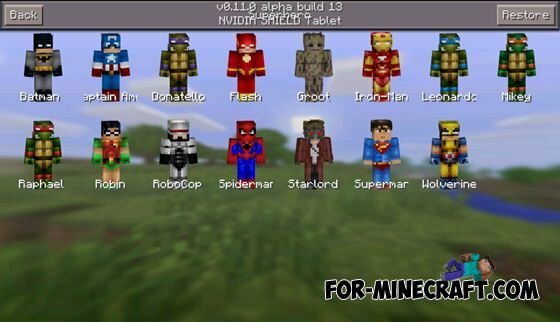 With this mod, you can set different skins from categories such as superheroes, characters, video games, youtubers, and many others! 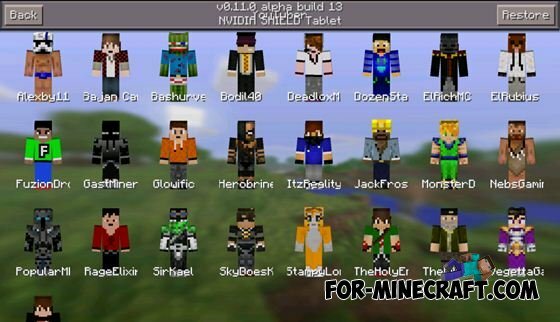 You need the latest 0.11.0 beta and Blocklauncher, to run this mod!